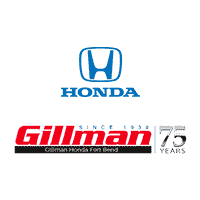 Gilman Honda and Alejandra Cobian was so great today to help me get my new civic SI! Had an absolutely relaxed and painless (yes, you read that right) experience when I bought a new vehicle from this dealership in Dec 2018. More recently, I ran into an issue with the service department, and as I was complaining about it at the front desk, Chris - who is with Sales walked by, overheard me and was jumped in to help immediately. He helped resolve the issue right away and even made sure I had a loaner vehicle while mine was being fixed. I truly wish there were more people like Chris in this world that realize the importance of customer service and act on it. Thanks a bunch, Chris. Serviced my accord at the Rosenberg location and was very pleased. They were prompt and up front with what my car needed at the time also explained everything with detail. Best service I have had in a long time. I will be taking my car to the Rosenberg location for here on out! Awesome people working here. This dealership has a great environment going on! Alejandra Cobian did an awesome job helping me out in getting a new car!! This dealership has a great family vibe. Plus, they are part of the Costco auto program.